Hey, I appreciate your writing. 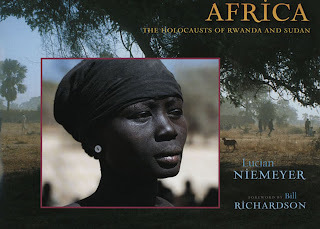 In 1994, universally known creator and picture taker Lucian Niemeyer started a progression of voyages to Africa to report and uncover abominations being submitted there. Niemeyer set out to the Rwandan outcast camps in Zaire a couple of months after the appalling Hutu-on-Tutsi genocide. Resulting treks to the Sudan were made to record subjection, the oil field genocide, and the Nuba Mountain age. Thanks all. Best of luck.